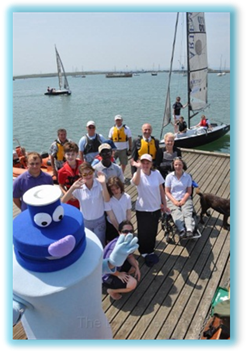 The vision is to make sailing available to all, regardless of ability, age, gender or background. The Even Keel Project will give you the opportunity to participate on a completely level playing field - on an even keel! 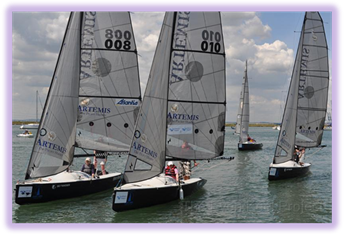 Sailing is one of very few sports in which having a physical disability does not have to be a disadvantage. Through its adaptive sailing programme, The Even Keel Project will give both able bodied and the disabled, the opportunity to participate together in a sailing activity that would otherwise be normally outside their reach. The projects' philosophy stems from the importance of accessibility, the idea of breaking down barriers and creating a fun and functional environment that will increase participation. The Even Keel Project encourages members to learn new skills and experience the freedom and feeling of escapism that sailing can offer. The project is all about integration, enabling members to compete at the same level and communicate with others from around the world, providing a unique platform to develop and extend that experience even further. 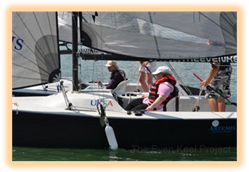 The Even Keel Project also provides a valuable resource for many groups and individuals who might want to use the project for rehabilitation programmes, sail training purposes, specialist training for athletes who wish to train in a competitive environment, or simply to be used just for fun.